“Long Live The Record Store” KT Tunstall shouts as she jumps on stage. We’re in a tiny venue above the Oxford Street HMV store, and she’s beaming at the audience, clearly excited to play some of her new songs for us. 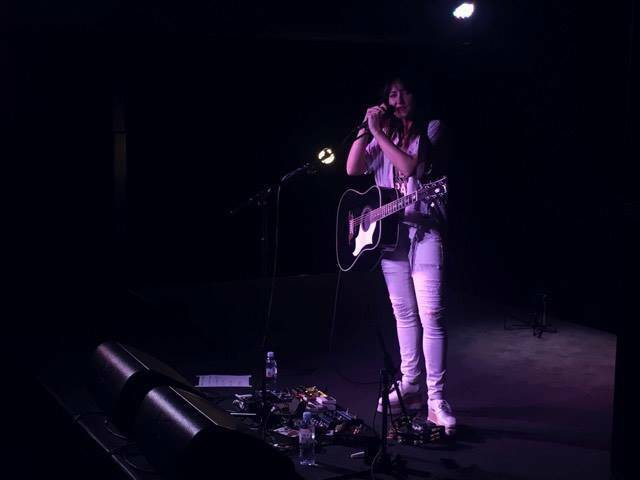 On Friday 9th September I was invited to an intimate show, followed by a meet & greet, and signing with the KT Tunstall to celebrate the release of her brand new album ‘KIN’. The event took place above the HMV store on Oxford Street, London. I’d not been there before, but the venue is the perfect size for a short, intimate gig. KT Tunstall was instantly likeable and looked very chilled on stage, clearly a seasoned pro. Her anecdotes, and stories throughout kept the atmosphere in the audience relaxed and warm to her even more, everything fitted very well in between her song choices. She really seemed to be having a good time herself and was keen to share how the songs and album had come about since her more to LA. The title track, Kin was a favourite of the set, as it is all about “finding your people, your tribe” which really resonated with me. She shared with us that David Bowie died first day of the album being recorded, and very fittingly she has always wanted to go to space. The song ‘On My Star’ which was played half way through the set, tells the story of going to space, but only being able to take one person with you. It’s one of the few ballads she’s written more recently, that made the cut for the album and it was really beautifully performed. After listening to KT’s first album ‘Eye To The Telescope’ when it first came out almost 12 years ago with my friends, and singing “Heal Over” in a school choir, it was lovely to have the chance to see her in such a small and intimate setting. I was right at the front in the “VIP hmv pure” section, closest to the stage – so had a great spot. KIN was released on the day of the gig so I hadn’t had a chance to listen to it yet, although hearing some of it live for the first time, rather than the perfected studio version was actually a really nice change. She uses loop pedals to set the beats and layer the songs before her vocals come in, but does make it a little harder for herself by wearing chunky platforms. There were a couple of mistakes, but KT took it all in her stride and it didn’t hinder the performance in any way. The only song she played which I had heard and knew well, was the last of the set. I was rather delighted when she introduced it with “now I’m going to play one of the old ones, because I think you’ll all hate me if I don’t.” Check out the video below for a live snippet of ‘Suddenly I See’ from her first album. It was such a lovely short and sweet event, especially as it was so unexpected (having been invited the day before). 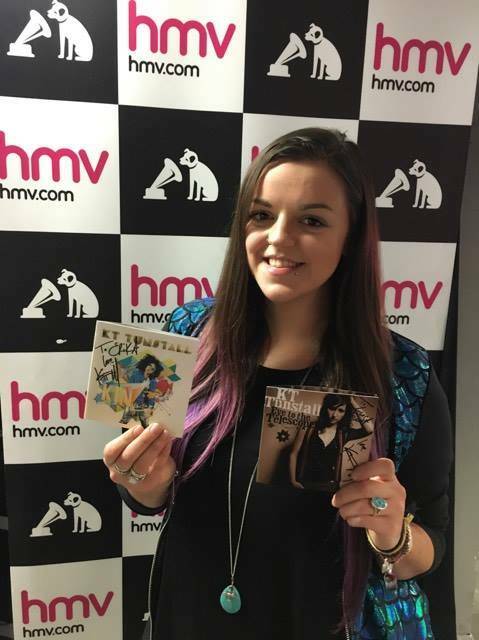 Meeting her after and getting her to sign a copy of ‘Eye To The Telescope’ for me (as well as a copy of her new album for my friend Erika) was such a nice touch and she was more than willing to have photos with the fans that had queued up to meet her. 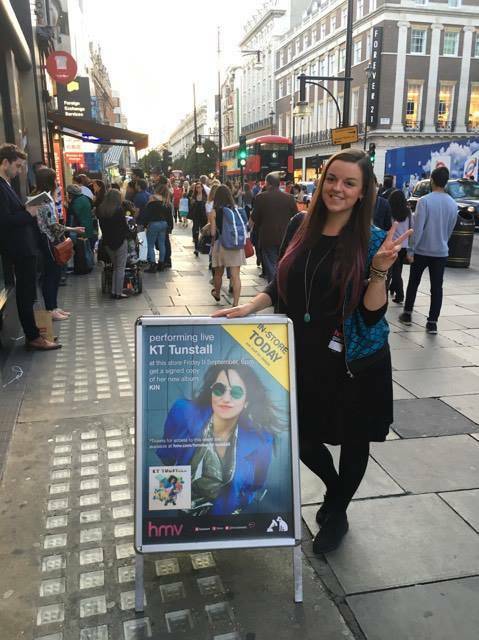 To buy KT Tunstall’s new album KIN from HMV, click here! Check out my other blog about seeing Twin Atlantic in the same venue! Check out KT’s new video below for ‘Hard Girls’ from the new album ‘KIN’, featuring a cameo from a Spice Girl! 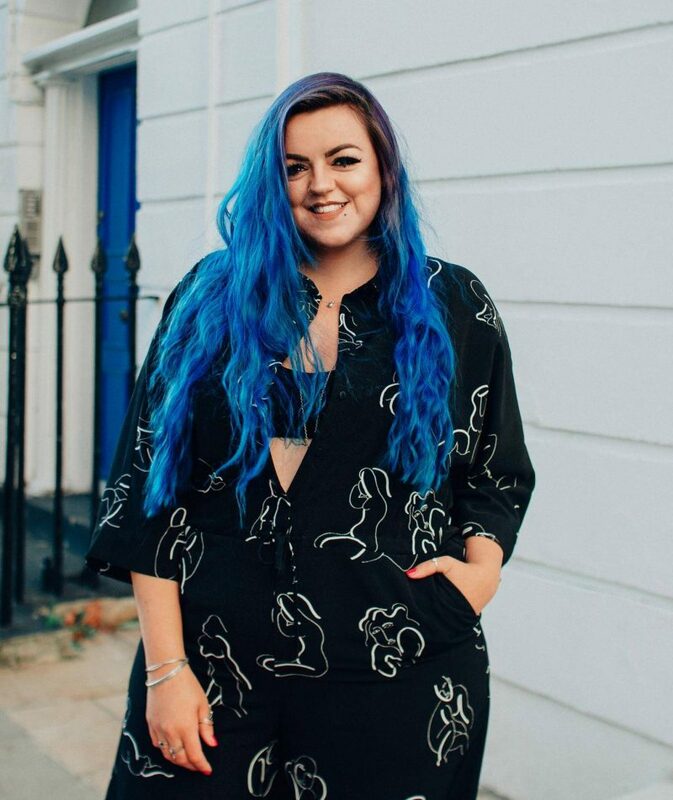 If you enjoyed reading this post, why not check out my other music blog posts: All Saints @ Summer Sessions, or Melanie Martinez @ O2 Forum, Kentish Town.